Posco, South Korea’s No. 1 steelmaker, is widely expected to face changes in its labor environment with workers at its steel mills here preparing to set up a new labor union, related officials said Tuesday. A two-day closed-door meeting for Posco workers who have agreed to join the union is expected to be held this weekend, the union said, without elaborating on the number of members who have signed up so far. A committee working on preparation for Posco’s new labor union is currently accepting applications with the militant Korean Metal Workers’ Union under the Korean Confederation of Trade Unions, one of the nation’s largest labor umbrella groups. “Posco claims to be the country’s leading company, but it has been tangled up with politics as seen through former President Lee Myung-bak’s ‘resource diplomacy,’ among many other cases. There needs to be a labor union to function as a tool to monitor management,” Jang Seok-won, director of public relations at the Korean Metal Workers’ Union, told The Korea Herald over the phone. He claimed Posco had monitored workers’ cell phones through a mobile application installed for security reasons, hindering moves to set up a labor union. 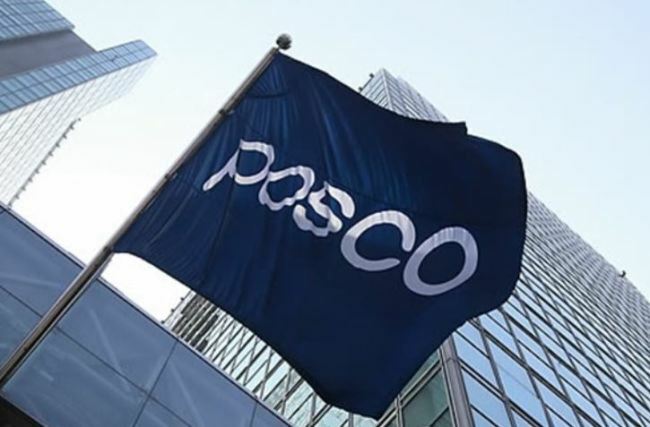 Along with Samsung, which established a union in February, Posco has operated essentially without a union since the 1990s. It has an incumbent labor union with just 10 members to date. “We have not yet received an official notification regarding the union from the preparation committee,” Posco said. The incumbent labor union at Posco was established in 1990 in the midst of Korea’s democratization movement of 1987 and consisted of some 20,000 workers. But revelations of a bribery case involving the union’s executive virtually disbanded the union. A worker-management council launched in 1997 has been representing workers in wage talks, among other negotiations.